Members of the Womens Royal Naval Service (WRNS) moving a torpedo at the shore establishment HMS Dolphin, Portsmouth, circa 1942. 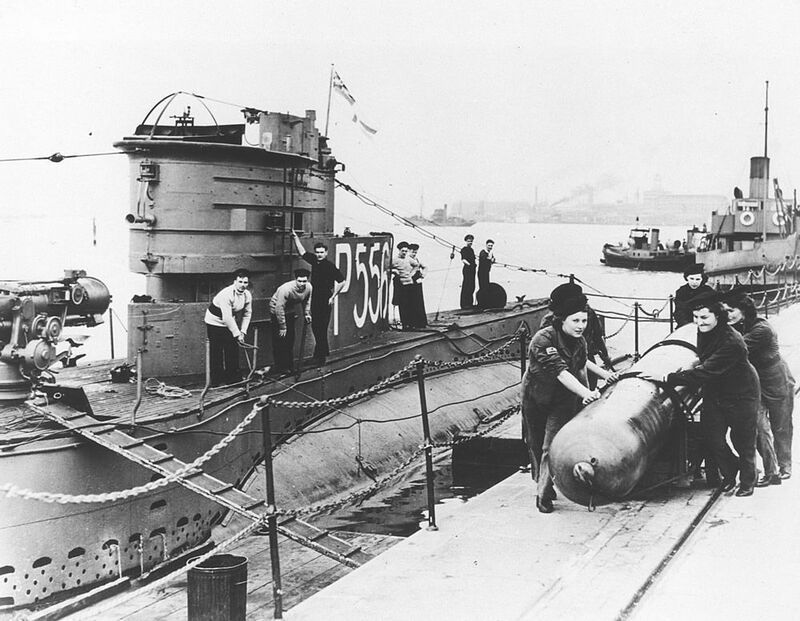 Submarine P556 is pictured in the background. This WRNS Torpedo Working Party at HMS Dolphin Art Print is created using state of the art, industry leading Digital printers. The result - a stunning reproduction at an affordable price.